Ready to face a new season. 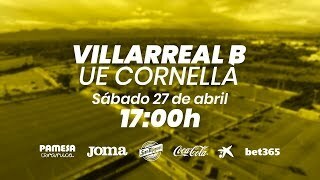 The Villarreal B team will kick start their season and their journey in Group III of the Segunda División B (Second Division B) this Sunday, playing against Cornellà away from home (8pm CET). 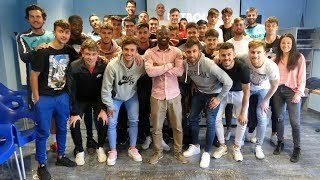 The Manager of the Yellows Reserves, Paco López, has a squad bursting with talent that has a new look from the outside, as many of the new players have been brought up from the other Reserve and Academy teams. The only signing made by the club to strengthen the Villarreal B squad is Agustín Doffo. The Argentinean midfielder has come on loan from Vélez Sarsfield and can play on either wing for the Mini Submarine. The rest of the new faces in the Yellows Reserve side have come up from the Villarreal C team and even the U19 A team. In fact, there are a number of players who have C team status, but will typically train and compete with the Yellows B team. Goalkeepers: Ander Cantero and Joan Femenías. Defenders: Felipe, Peris, Ramón Bueno, Juan ‘Ibiza’, Marcos Mauro, Edgar Ié, Miguelón, Pau and Maldonado. Midfielders: Larrea, Raba, Ramiro, Chuca, Morlanes, Javi García, Doffo, Aitor Cantalapiedra, Leo Suárez and Anton Shvets. Strikers: Carlos Martínez, Franco Acosta, Carlos López and Mario González.